Make sure you are both capable of starting and finishing the hike! Hiking is a more strenuous activity than a walk around the block. So, if neither of you are ready to take on a hike, maybe this is something you work up to together. Start training with your dog so you can both enjoy hiking in the upcoming Spring season. It’s probably a good idea to make sure that both you and your dog are in good health. So, check in with your doctor and your vet before hitting the trails. It’s unlikely you’ll run into a vet on the trail if needed so make sure you pack any preventative needs for your dog before the journey begins. Mapping out the route is a good idea. That way you know when to schedule rest, snack and water breaks. 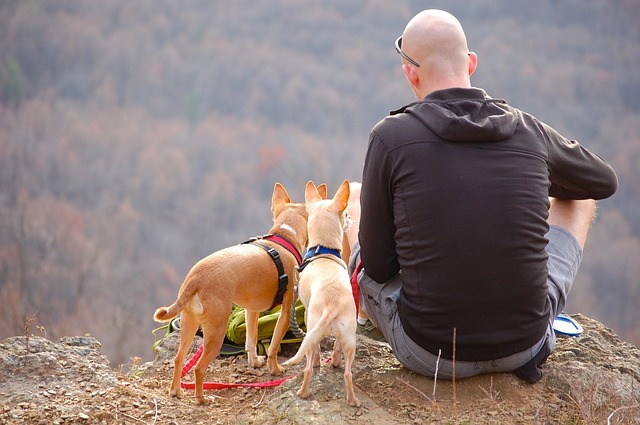 This also gives you the opportunity to make sure the route you want to take is dog friendly and has terrain that both of you are comfortable with. While this isn’t a fully comprehensive list of do’s and don’ts, we hope this will inspire you to get moving with your pup! Be sure to take pictures and tag us on Instagram. We can’t wait to see what you guys are up to this Spring.